Life is what happens in between rounds. Tully: Hey kid. You want to spar a little? Huston always had an eye for characters. His movies almost all dealt with the concerns of lower middle class working joes, the "regular fellows" with whom Huston somehow identified in the romantic Hemingwayesque lantern jawed "a man's gotta do what a man's gotta do" tradition. But his characters were more than mere macho he-men. They displayed genuine and uncommonly powerful vulnerabilities, hopes and dreams, flaws and finally cynicism. After an incredible first 20-plus creative years, Huston floundered for almost a decade with commercial and artistic disappointments (FREUD, THE BIBLE, THE KREMLIN LETTER, SINFUL DAVEY among them) before coming back to his wheelhouse with the carefully subdued yet deeply affecting character study FAT CITY. FAT CITY is a grand return to form for Huston precisely because it is so indelibly imbued with real life in the form of its unforgettably true characters. None of these people are particularly remarkable individuals (frankly they are mostly below average in self-awareness, skills and intelligence), yet because Huston is so skillful at revealing character through the carefully structured unfolding (and gradual unhinging) of Keach's character, we are given insights which Keach (and Bridges and Candy Clark and the wonderful Nicholas Colasanto) can't make for themselves because they are too close to their own situations. Bridges has a nice interlude and Colasanto is so good in his limited Burgess Meredith Mickeyesque role, but the heart of this movie is Stacy Keach, who rises to the occasion with uncommon subtlety and power. It is a rare movie that can document losers in their daily lives without editorializing or sermonizing. 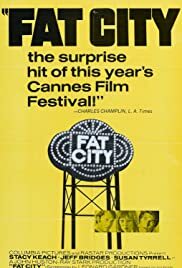 FAT CITY takes an unflinching glance at these people and shows us things which seem prosaic on the surface but which upon examination hide deeper meaning (and heartbreak). There are no pyrotechnics, no real twists, no witty or stand out dialogue exchanges, not much going on with the camera (though Hall's coloring is as always very well chosen), and very little budget on display in FAT CITY. It appears Huston shot pretty much everything on location in the flophouses around Stockton, CA. 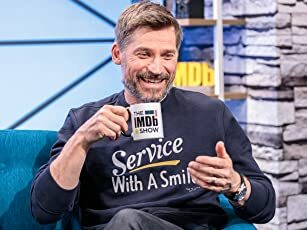 Yet the performances are uniformly outstanding and we come to care about these losers as they fumpher through life kidding themselves about where they've been, where they are and where they are going. I can't think of a movie where less actually happens to the characters (maybe BARFLY) but where I still find myself so deeply involved. Whenever I see it playing on the tube I generally stay with it all the way. There are very few movies in that league for me. Warning: do NOT go in expecting crowd-pleasing Rocky-esque boxing sequences. This is less the story of a Rocky and more the story of a Spider Rico (the "ham n' egger" Rocky beats up in his first fight and from whom we never hear again.) The movie disguises itself as a Horato Alger-like comeback or underdog story initially, but it is ultimately one of the bleakest, realest character studies you're ever likely to see. One of the best Huston movies to come after the 1960s and a downbeat classic. 9/10. 44 of 50 people found this review helpful. Was this review helpful to you?